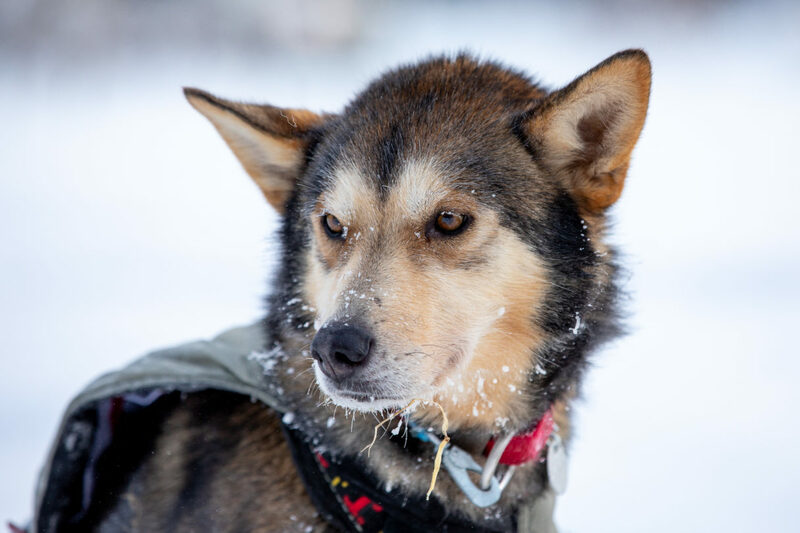 Brent Sass has officially snagged the current lead of the 2019 Yukon Quest, but Michelle Phillips is right on his tail. Both completed the 200-mile trek to Dawson City late this morning: the leaderboard shows Sass checking into Dawson at 11:24am PST, and Phillips arriving just 25 minutes later. Both have 14 dogs. Just behind Phillips are Hans Gatt and Allen Moore, in third and fourth position. They’re also neck-and-neck: they both arrived in Dawson City just after noon PST. Behind them, Paige Drobny is expected to arrive in Dawson any minute, according to the GPS tracker. The four mushers who’ve made it to Dawson City now begin their mandatory 36 hours of rest. Race Marshal Doug Harris explains mushers are required to truck their dogs to a dog lot about a mile and a half away from the checkpoint. After handing their dogs off to professional handlers, they get time to rest. Harris says once that 36 hours is up, there’s usually no hesitation for mushers to get back up and going on the trail. According to the race marshal, “so far so good” on the trail. He said there’s reports of snow coming, which could slow things down depending on how much snow, but on the whole, it’s looking like a steady, good race thus far. Several mushers are expected to join the top 5 mushers in Dawson City later today. Tune into KNOM at 5:00 pm today for the next Yukon Quest update, on 780 AM / 96.1 FM. Image at top: a 2019 Yukon Quest sled dog, at rest in McCabe. The 36-hour layover in Dawson City is a time for rest for both sled dogs and their mushers. Photo: Julien Schroder, Yukon Quest. Used with permission.